Democracy and dictatorship – each political system is the antithesis of the other. This article seeks to explain just how. Democracy is a system of government where its citizens are given the power to elect public officials who will make up the governing body of the land. The term is a direct translation of the Greek word demokratia which means “rule of commoners.” Democracy is sometimes called “rule of the majority,” and is considered by many as the most desirable form of governance. Democracy, as practiced among Western states, is generally considered to have been derived from the city states of the Roman Republic and ancient Athens. While no single definition applies to democracy, political analysts agree that democracy must be characterized by a few vital principles – political freedom, legal equality, and the rule of law. These principles must be enjoyed by all citizens regardless of gender, financial status, or race. Two basic forms of democracy exist, and both are characterized by how the people are given the power to execute their will as a whole. Direct democracy is one of them, and this where the people play an active role in policy making without the need for representatives or intermediaries. The voting public is given the power to change and suggest laws, launch referendums and initiatives, and even oust elected officials. The second basic form of is called a representative democracy and involves the people electing officials who will represent them in government. In this general form of democracy, it is common to have elected officials win by a majority vote. In some democratic states, free speech, freedom of political expression, a free press, and internet democracy are essential to a well-informed voting public who can vote according to their own standards. A dictatorship is a system of government where one person or a political entity rules over a country or a group of countries. It is a type of authoritarianism where politicians control almost every aspect of public and private behavior of their citizens. A dictatorial regime usually uses all manner of political propaganda to fight off any influence of alternative political systems. For instance, many dictatorships have resorted to religious tactics in an effort justify their authoritarian leadership (e.g. western monarchy systems). Although traditional monarchies slowly declined during the 19th and 20th centuries, dictatorship has become one of the world’s major forms of government. The middle of the 20th century saw the rise of the Soviet Union under Joseph Stalin’s communist dictatorship, along with other Central and Eastern European states. 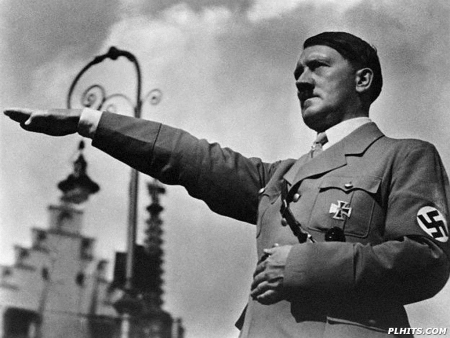 Fascist dictators Adolf Hitler and Benito Mussolini ruled over Nazi Germany and Italy, respectively. At the end of the second World War, dictatorial governments emerged in Asia and Africa. This was usually caused by failed constitutions inherited from past colonial powers. So what’s the difference between a democracy and a dictatorship? Democracy is often called “a government of the people, for the people, and by the people.” It is a form of governance where the citizens of a state play an active role in nation building. In addition, citizens of a democratic state exercise the right to choose their leaders. A dictatorship, in contrast, is a form of government where the state is controlled by a single leader or a political group or entity. People under a dictatorship do not have the liberty to choose their nation’s leaders. Citizens of a democratic state (regardless of the type if democracy) are entitled to basic rights such as political freedom, legal equality, and the rule of law. In a dictatorship, the state controls all facets of everyday lives of its citizens. Citizens in a democracy exercise free speech and can speak against the government, whereas such activities are almost impossible and are dangerous to carry out in a dictatorial regime. 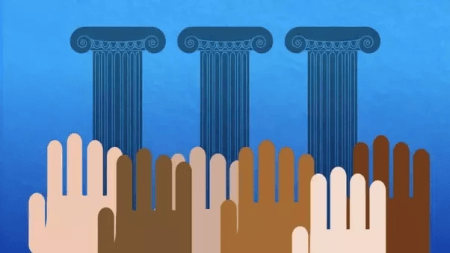 Check out this fun but very educational video about democracy and dictatorship.